Children are always learning, most especially when they are at play. 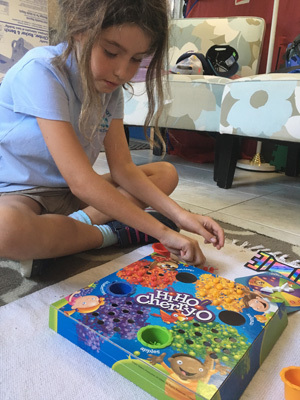 Playing games is a simple but fundamental way for children of all ages to develop essential social and communication skills, and exercise a wide range of sensory and cognitive abilities. At the after-school Games Club that is currently running this term, children engage with one another, collaborate and cooperate in a setting that is exciting, fun and often hilarious! Their minds fire on all cylinders as they interpret complex rules of play and follow multiple steps in sequence. 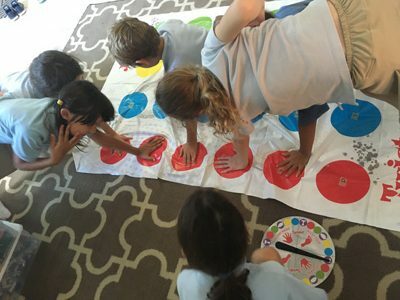 They flex critical decision-making and problem-solving skills in equal measure as they navigate the treacherous turns of Twister, and exercise multi-sensory awareness. They learn to observe one another, learn from each other, and communicate effectively and positively with team-mates or partners, all while having a fantastic and fun time with friends! Learning is truly child’s play – in the best possible way – at Games Club!